Texas Gov. Greg Abbott listens to Texas Department of Health Services Commissioner Dr. John Hellerstedt during a Zika prevention roundtable at the University of Texas Rio Grande Valley on Friday, May 5, 2017, in Brownsville, Texas. The Texas Department of State Health Services reported the state's first mosquito-borne case of the Zika Virus in Brownsville in November 2016, prompting action by local leaders who were able to have an open discussion with Gov. Abbott related to concerns over the virus. As the school year draws to a close and mosquito season begins in earnest, Texas Gov. 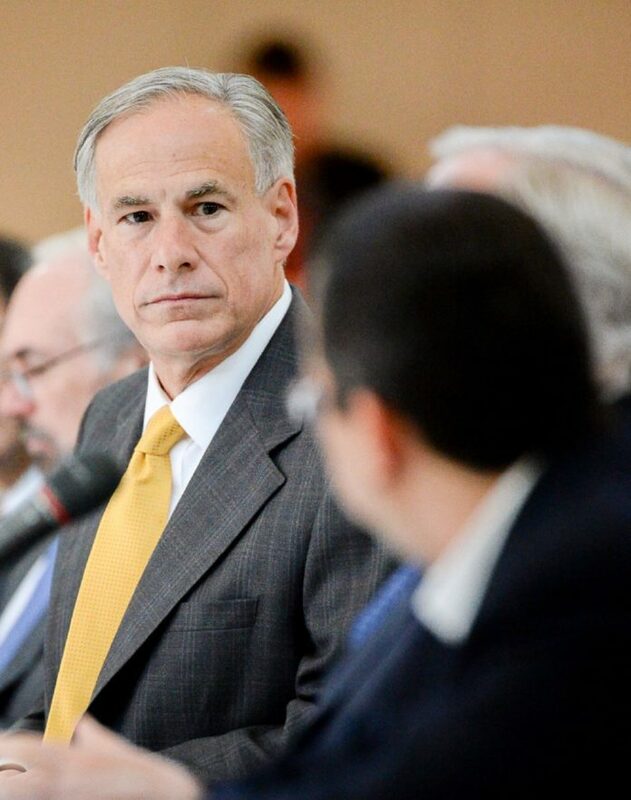 Greg Abbott is enlisting the aid of school districts across the state to educate students and their families about the Zika virus. “As hubs of your community, we are asking for your help in preventing the spread of Zika by providing your students and their families with additional information,” said a letter sent out Wednesday to school superintendents and members of local school boards. The letter was signed by Abbott, as well as Education Commissioner Mike Morath and Texas Department of State Health Services Commissioner John Hellerstedt. “As the weather warms and mosquito activity increases, we expect the threat of local mosquito transmission of Zika to resume and persist,” the letter said. The letter outlines several methods to help stop the spread of the Zika virus, which is particularly dangerous to the unborn children of pregnant women. Zika has been linked to microcephaly, a birth defect, as well as other problems for babies born to mothers who were infected with the virus while pregnant. Apply EPA-approved insect repellant when planning to be outdoors. Wear long-sleeved shirts and wear long pants when outdoors for prolonged periods. Utilize screens or close windows and doors. Regularly remove any standing water in and around your home or school that could provide a breeding ground for mosquitoes. Cover trash cans or containers that may collect water. Visit your doctor if you suspect you’ve been exposed to Zika or exhibit any of the symptoms of Zika, which may include fever, rash, joint pain, and red eyes. Abbott recently visited the Rio Grande Valley and participated in a round-table discussion regarding the problem of Zika in Texas. Over the last two years, there were more than 300 cases of Zika reported in Texas, including six in Hidalgo County and 26 cases in Cameron County. So far this year, 11 cases have been reported, including two in Cameron County and none in Hidalgo County.